On a recent morning, I had a breakfast meeting and was looking for somewhere to meet other than the typical coffee chain. We met at Greenleaf Gourmet Chopshop in Century City. 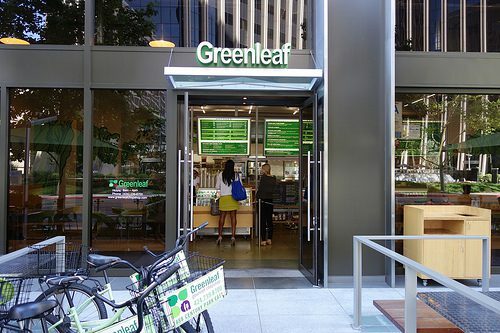 Greenleaf is a great spot to grab a healthy lunch (specialty salads and sandwiches or make your own salad) but you can also stop by for a healthy and tasty breakfast.